Rinse the ribs and pat dry. Lay the rack on a long piece of aluminum foil. In a small bowl, combine the rest of the ingredients. Pour half of the spice mixture onto the ribs. Spread it evenly and rub it into the meat. Repeat on the other side with the rest of the rub. Wrap the rack tightly in aluminum foil and refrigerate for 4 hours (or overnight). Heat the oven to 300 degrees. Place the foil-wrapped rack of ribs on a baking sheet and bake for 1.5 hours. In the meantime, soak some smoker chips in water or a bottle of beer. Heat the grill to about 250 degrees and add the soaked smoker chips (in the grill's compartment or in an open bed of aluminum foil on the grill to the side). When the smoker chips have started to smoke, remove the ribs from the foil and grill them for about 45 minutes. 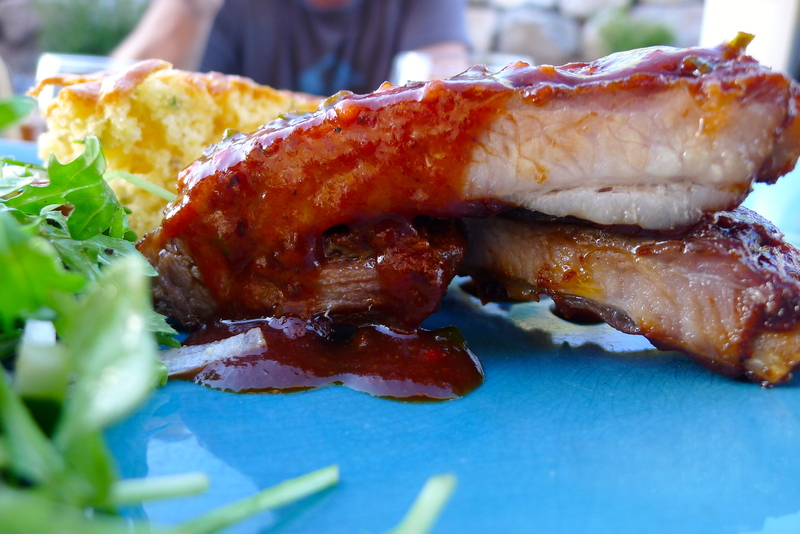 (If you want saucy ribs, flip the rack and baste with BBQ sauce every 15 minutes or so.) Slice the rack into individual ribs. 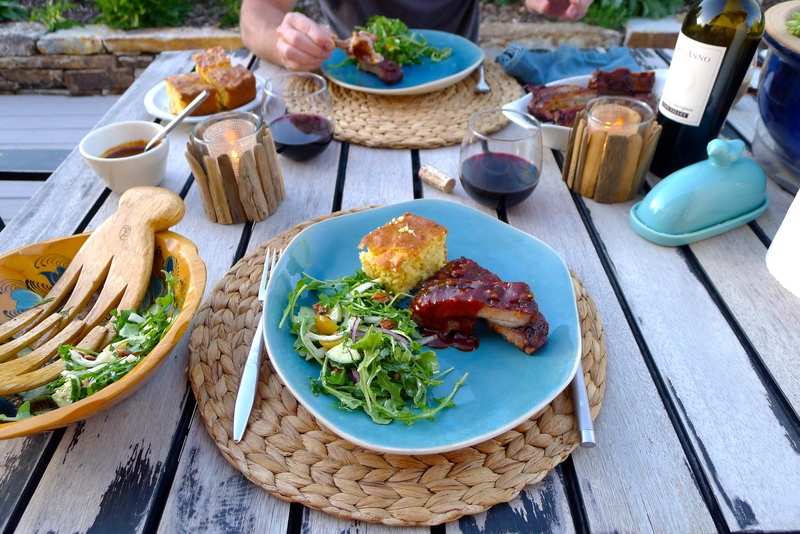 Serve outside with a bowl of BBQ sauce on the side and don't forget extra napkins. Cheers to al fresco everything. YUM!